It was the famous “Café de la Régence” in Paris which was at the origin of correspondence chess games. These games were first played between cities or French or foreign chess clubs. A first match was played between Paris and London 1834-36, followed by another between Valenciennes and Douai in 1837 and the match between Paris and Pest in 1842-45. With the creation of the post service and stamps in 1848, the game of correspondence chess developed rapidly. In 1882, the newspaper “La Stratégie” organised the first national tournament with only 6 players. But in 1884, the same newspaper organised with great success the first international tournament with 11 players, and in 1887 a second national tournament with 18 players from all over the country, which can be considered as the first national French championship. In 1888, “Le Monde Illustré” organised the first individual international tournament with 25 players, among which were 15 French players, and this tournament was won by Balschoff from Paris. The telegraph opened a new area and a first match between Paris and St. Petersburg by telegraph was organised in 1894. Until 1920 Correspondence Chess tournaments were mainly organized by individual persons and by chess magazines like “La Stratégie” or “L’Échiquier de France” and newspapers like “Le Monde Illustré”. From 1919 on, Georges Renaud and Gaston Legrain get the best French players together and organised the first international teams matches, against England (1919) and Spain (1920), then against Italy (1925) and Germany (1929). A Correspondence Chess branch was immediately created by the Fédération Française des Échecs (FFE), founded on 22nd May 1921 by Henri Delaire. Moreover the Bulletin fédéral n°1, published in December 1921, dedicated one from its height pages to the correspondence chess regulations. In 1926 Gaston Legrain organised the first French Championship, whose final was won by Amédée Gibaud in 1931. Various regional events took place without a break. In 1935 France took part in the first correspondence chess Olympiad organised by the Internationaler Fernschachbund (IFSB) created in 1928, with sixteenth other nations. France finished at the third place. In November 1938, at the instigation of Dr. Pierre Bos, France set up its first dedicated organisation for Correspondence Chess, with the creation of the Association Française des joueurs d’Échecs par Correspondance (AFEC) with about thirty members. Pierre Biscay, FFE President at that time, was alo the AFEC president. Success was such that the number of members grew up quickly (70 in 1939) and the first regional tournaments appeared. The first one was organised by the Bourgogne and Franche-Comté. Unfortunately as soon as the organisation phase was over – and in spite of some tournaments played from 1939 to 1945 thanks to Gaston Legrain – the AFEC activity was stopped by the World War II. In 1945, Gaston Legrain, correspondence chess tournaments’ head for twenty year, decided to retire. Gaston Balbo (international tournaments’ head) took over with a pioneer staff: Pierre Bos (international referee), Jules Delannoy (treasurer), Robert Sutra (chef redactor of the Courrier des Échecs), Noël-Maurice Boulle (tournaments’ head) and Isidore Bernstein (secretary). Correspondence chess makes a fresh start and the association takes in 1946 a new name, Association des Joueurs d’Échecs par Correspondance (AJEC), under the presidency of Georges Renaud. The membership of 125 new members is to be noted. The AJEC takes part, as founder member, in the creation of the International Correspondence Chess Association (ICCA) which did replace the IFSB. In January 1947, at the instigation of Gaston Balbo, the Courrier des Échecs n°1 was published. Robert Sutra was in charge of the redaction of the journal. As the French Championship becomes annual, in 1949 the Coupe de France was created the Coupe de France, and Dr. Bos was the first winner. Internationally, France was present in all the high level events, such as the first individual World Championship, with 6 players. Adolphe Viaud, winner in his preliminary section, was qualified for the Final won by the Australian Cecil John Seddon Purdy. In 1951, with the assistance of the AJEC, the ICCA became the International Correspondence Chess Federation (ICCF) and Gaston Balbo was the first delegate representing France. The AJEC, with a total of some 700 members in 1954, needs to rank the players for a better management of the tournaments. In 1956, a first system was created by Claude Broutin and the players were divided in five categories. In 1959, thanks to his exceptional performances, Dr. Volf Bergraser became the first International Master. There were then more of 900 members of the AJEC. In 1961, with the success of the regional tournaments, the management committee does organise the first interleague cup, with teams of 5 players. In 1963, AJEC was 18 years old and the 100th issue of the Courrier des Échecs was published. But the leaders were getting older and, after Gaston Legrain’s (1951) and Isidore Bernstein’s death (1952), several other deceases were to deplore: Jules Delannoy (1963), Noël-Maurice Boulle and Henri Évrard (1964); furthermore Robert Sutra had to retire due to health reasons. AJEC would have never been what it is today without the fifteen years of dedicated work of these pioneers, but the first difficulties do appear to find their replacement. A new team was set up, presided by Fernand Supper (International Tournaments), assisted by Gaston Balbo, J. Girard (secretary), F. Maître (treasurer), Fernand Weyand (Tournaments’ head), Roland Jouanisson (rating) and Sylvain Zinser (redaction of the Courrier des Échecs). 1966 initiated the recovery with the accession to the directory board of Jacques Jaudran and Francis Alozy. To pay tribute to its past leaders, AJEC organised a great inter cities teams’ tournament: the Évrard-Delannoy Cup. This cup was played by 200 six players’ teams from 19 different countries: 20 teams from France, 28 from the USSR and 50 teams from the DDR! With more than 1200 players, it was the largest tournament at that time. In 1967, the Courrier des Échecs became monthly, the number of players increased (turning 1000 adherents in 1968, 1200 in 1969), but charges increased too and a new organisation was needed. In 1970, as Fernand Supper was elected as FFE president, Jacques Jaudran became the president of the AJEC. The directory board was now made up of 12 members with one person in charge for each type of tournaments. In 1972 a great tournament commemorating the 25th anniversary of the Courrier des Échecs was organised. In 1973 a new rating system, created by Pierre Bridier, was selected. More practical and more accurate, it did not have a unanimous support however, because – for example – it did not take the draws into account, which stimulate a lot of impassioned debates! In 1974, the FIDE, founded in Paris in 1924, turned 50 and to celebrate this event, the XXIst Chess-Olympiad was organised in Nice, where the Presidium of the ICCF met at the same time. The number of players of the AJEC was steadily growing up: 1500 in 1974, 1700 in 1975, and French players were present in ever larger numbers in international tournaments. A first Women French Championship was started with 12 players, followed by a French Championship for young players.. In 1977 Jaudran retired from the presidency to devote himself to the Courrier des Échecs, and he was replaced by Pierre Couet. There were then 2100 AJEC’s members! The first « Grand Prix de France d’Échecs » attracted more then 500 participants. In 1979, in association with Europe Échecs, AJEC organises the “Tournoi du XXe Anniversaire d’Europe Échecs”: four ICCF Grand Masters and six International Masters took part to the event; five players represented AJEC, including Dr. Bergraser who win the title of Grand Master! André Giraudet was elected to the ICCF’s Vice-Presidency. In 1981, Richard Goldenberg, who was qualified to the final of the XIIIth World Championship, replaced Sylvain Zinser at the redaction of the Courrier des Échecs. In 1983 Pierre Couet was replaced by André Giraudet at the presidency of the association. In 1984, in association with Europe Échecs and the Échiquier belge, AJEC organised the Memorial O’Kelly which attracted 260 players in an open tournament and 17 titled in two tournaments: a “Grand Master” Tournament with 6 french players and a “Master” Tournament in which France was represented by 4 players. Jacques Bodis was appointed to represent the ICCF at UNESCO and in 1985 he became international arbiter, meanwhile Giraudet and Balbo were both awarded by a Bertl von Massow medal: a golden one for Giraudet and a silver one for Balbo, meritorious work for the ICCF. French players did well in all competitions (Latin Cup Europe-America, North Atlantic Cup, and World Championship) and achieved norms and MI-ICCF titles, while 3 women players took part to the Vth Women World Championship. In spite of the lost of several great leaders and a slow decreasing number of members, the traditional competitions go ahead. Moreover, AJEC was about to be 50 years old and to celebrate this, the “Tournoi du Cinquantenaire” was launched in 1987 with 326 participants. In the recently created rating Elo-ICCF, Goldenberg ranks 17th, Lecroq 22nd, and by the Women Claire Martel and Marthe Raimondi are amongst the 70 best of the world! In 1989, while René Salaün was elected to the presidency of the association, the Memorial Bergraser was played 189 players from all levels and 17 guest players (8 GMI and 5 MI-ICCF) in a norms tournament: 3 French players took part to the event. In the 1990’s a new players’ generation showed its ambition and won a number of MI-ICCF titles in all high level international tournaments (Latin Cup, Latin Europe-America Cup, North-Atlantic Cup, Europe Teams Championship, feminine and masculine Olympiads, etc.). In addition to the usual national Tournaments, the international competitions attracted more and more players: 18 international teams matches tool place simultaneously on 700 chess-boards, with more of hundred players. In 1997, after 30 years serving AJEC, Jacques Jaudran retired. Pierre Ruiz-Vidal took over the Courrier des Échecs, the review was 50 old. To celebrate this Jubilee a “Grand Prix du Cinquantième Anniversaire du Courrier des Échecs » was launched. In 1998 the first Mare Nostrum tournament was created, with teams from all Mediterranean countries. This project was dear to André Giraudet, who initiated it. There were since these date three other editions. France was present in all high level competitions; five French players taking part in the XXIIIrd World championship’s semi-finals. Christophe Léotard (three times French Champion) and Michel Lecroq (third in the 14th World Championship’s final) are amongst the best players in the world and obtain quickly the GMI title, as Volf Bergraser did. Léotard obtained even the supreme title of Correspondence Chess World Champion (the first for AJEC), winning the 19th final in 2006. The game did change. Computers developments and new ways to communicate transformed correspondence chess deeply. Even though some players are still using post, tournaments were played by e-mail and then on the web-server. Games are shorter, strategy changes because of the help of engines which may produce deep positions’ analyses. Correspondence chess player’s profile changes too. AJEC, like all the other European federations, was looking for a new type of competitors. All these changes caused impassionate debates and resulted in the election to the presidency of Olivier Coclet in Aubusson (2001). A lot of reforms were realised under his presidency, especially the replacement of the Bridier rating system to by Elo system, more modern and unquestionable reference in the Chess World. In 2001 too, thanks to the remarkable work of Olivier Bouverot, AJEC launched a new official website, replacing the first one which was created a few years ago by Frank Geider. In spite of a significant decrease in the number of members in the 2000’s, AJEC stays very active in the correspondence chess world and is well represented in the highest level of the ICCF: Franck Geider, tournaments head, Jean-Christophe Chazalette, Direct Entries head (he was elected services director in 2011), Laurent Tinture (archive). In 2009 Éric Ruch replaced Mohammed Samraoui as the ICCF President. The 600th issue of the Courrier des Échecs was published in 2011. The review is now one the rare publications dedicated to the correspondence game. Since 2006 it is bimonthly. In 2004 France won the NATT V (North Atlantic Team Tournament) launched in 2001. Team composition: Éric Ruch, Philippe Tombette, Alain Rogemont, Jean De Lagontrie, Michel Pellisseri, Gilles Guidici, Jean-Michel Dijon, Laurent Tinture, Maurice Muneret, Olivier Coclet. In 2004 too the AJEC set up new statutes and modifies its electoral system. All the directory board is now elected for four years. Next elections will take place in 2013. Since 2007 a PDF version of the Courrier des Échecs is on line to download. 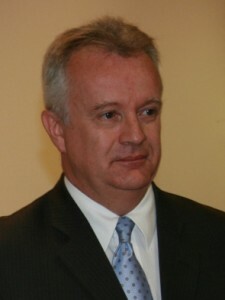 Since 2006 AJEC is presided by GMI Michel Lecroq. The internet web site was in 2011 completely changed (www.ajec-echecs.org) and has an open game space available to any internet user. The webmaster is Jocelyn Ferdinand.